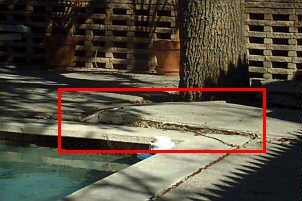 Left on their own, tree roots can and do damage to foundations, driveways, sidewalks and cement pool decking. The tree may need to be removed if the roots cannot safely be cut. Consult a tree expert before doing anything. And if the roots involve a pool, it probably will be necessary to call in a pool expert as well to look for structural damage.